Teams from Grant, Howard and Johnson counties have earned a place at the international SeaPerch Competition at the University of Maryland on June 1-2 after placing in the top two spots in the junior and senior divisions of the regional underwater robotics competition. Twenty-four teams, plus parents, family, volunteers, 4-H staff and onlookers filled the Bishop Park Aquatic Center in Bryant on Feb. 23. 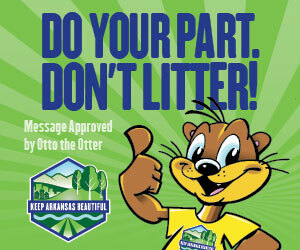 This year’s regional competition was sponsored by the Electric Cooperatives of Arkansas. This year’s competition theme was Mission: Rescue & Recovery, inspired by the rescue of a soccer team in a cave in Thailand. 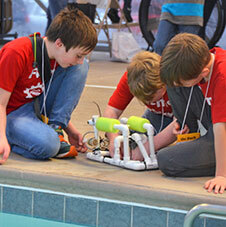 For the SeaPerch competition, youths must build a remotely controlled submersible. They must document their work and be ready to give a presentation about their engineering and show their engineering notebook, in addition to maneuvering their underwater craft through obstacle courses to complete specific tasks. 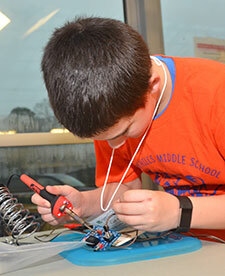 SeaPerch participants learn basic soldering skills. 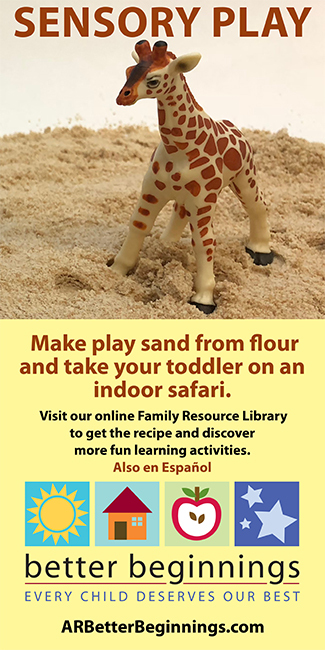 Eligible for the international competition in the junior category are two Grant County teams: Speedy Gonzalez and The Titanic Crew, both coached by County Extension Staff Chair Brad McGinley and his wife, Serena, a teacher at Sheridan Junior High School. It’s the second year in a row for a Grant County team to go to the big competition. Last year, Sheridan Junior High competed in the open division. Howard County Team 1 and Johnson County’s JC Atlantis are eligible for the international competition as winner and runner-up in the overall senior category. Last year, JC Atlantis represented Arkansas at the international competition as the junior team winner. The Electric Cooperatives of Arkansas also filmed the underwater action with two 4K cameras. A team makes last-minute adjustments to their vehicle. To learn more about SeaPerch, see www.seaperch.org/challenge. For more information about STEM or other youth development activities offered by Arkansas 4-H, contact your county extension office or visit www.uaex.edu. Mary Hightower is director of communications services for the University of Arkansas System Division of Agriculture.